I’ve slightly grayed out those that aren’t free. 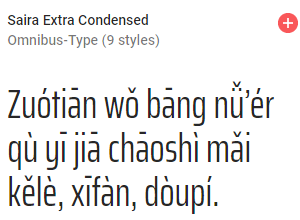 But they’re certainly not expensive. 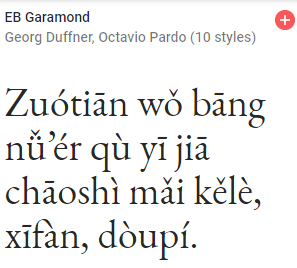 Demos Next Heavy, by Gerard Unger, is a free representative of the large Demos Next family. 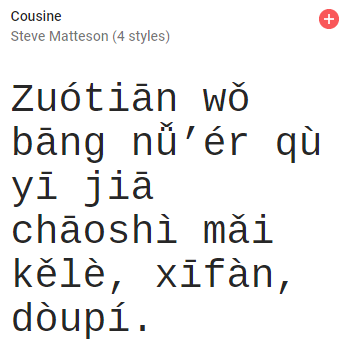 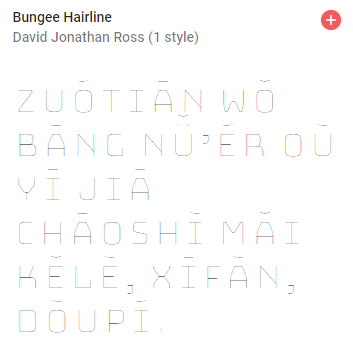 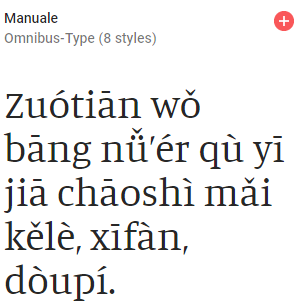 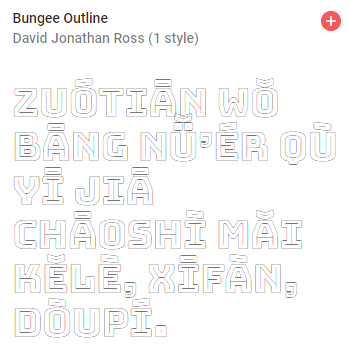 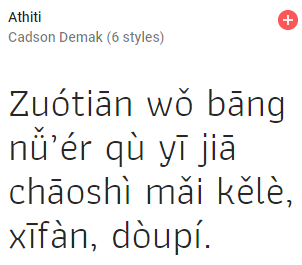 It handles Hanyu Pinyin with tone marks nicely. 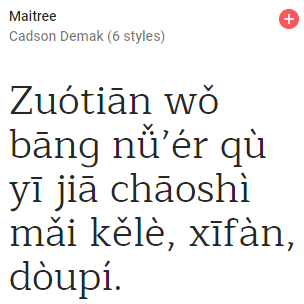 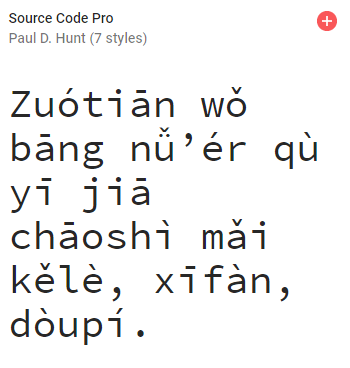 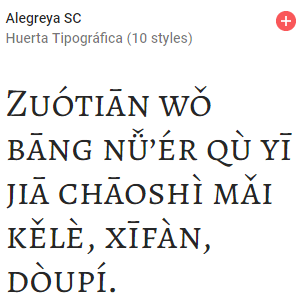 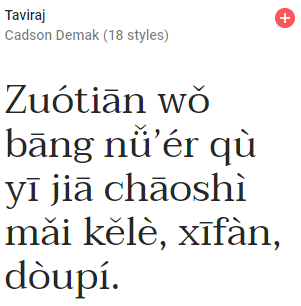 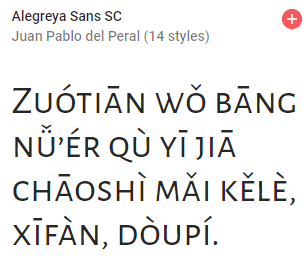 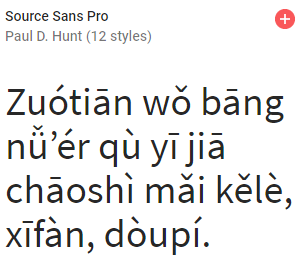 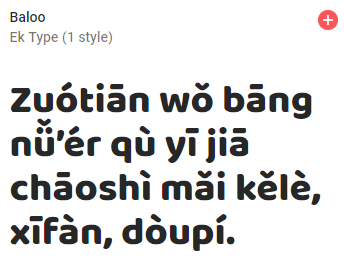 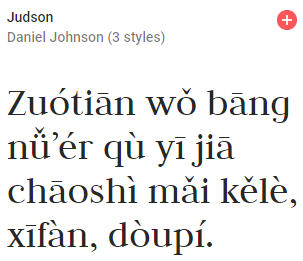 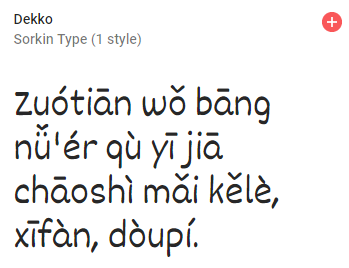 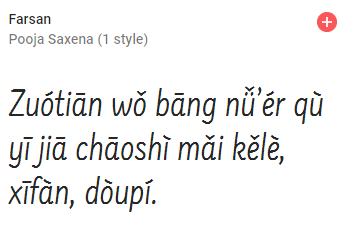 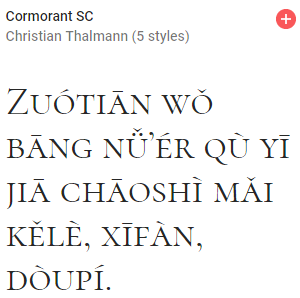 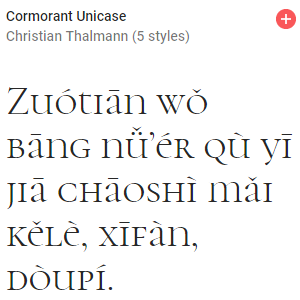 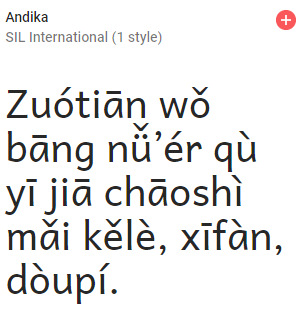 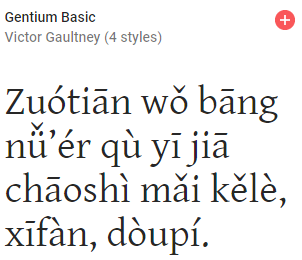 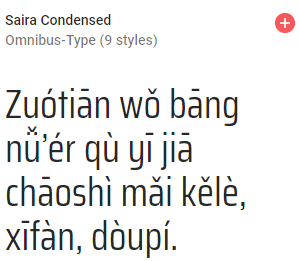 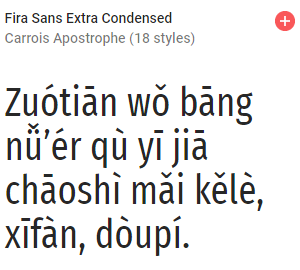 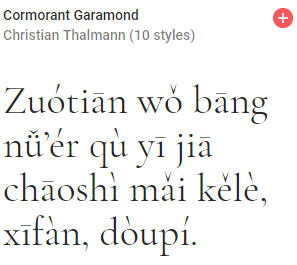 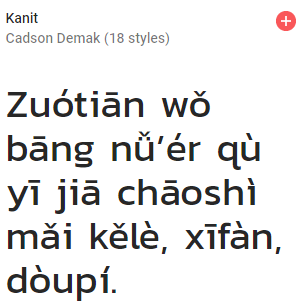 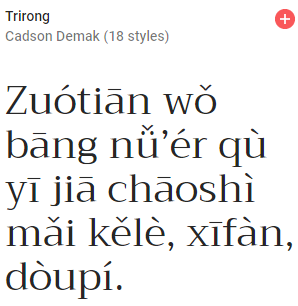 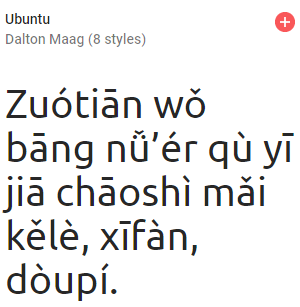 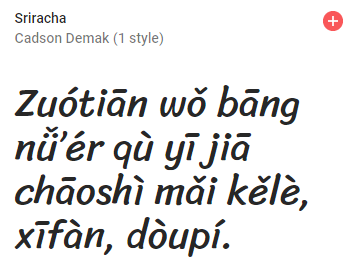 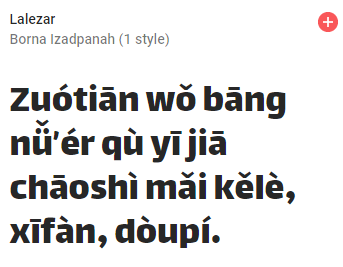 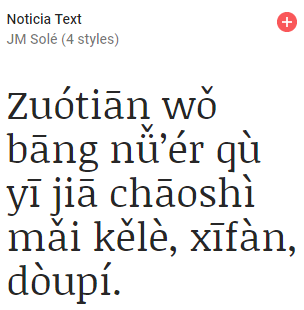 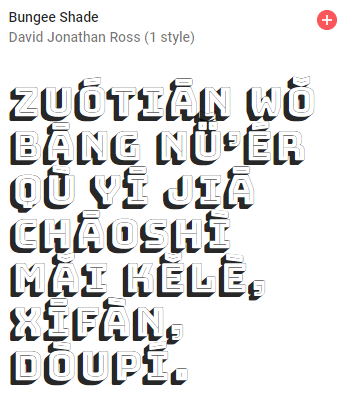 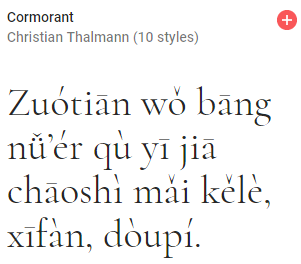 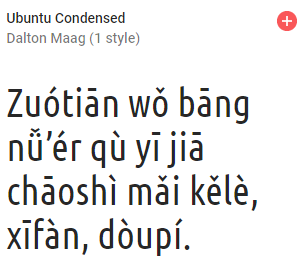 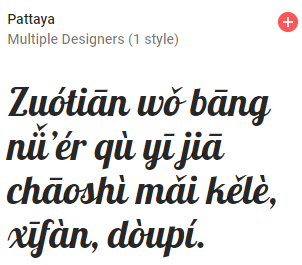 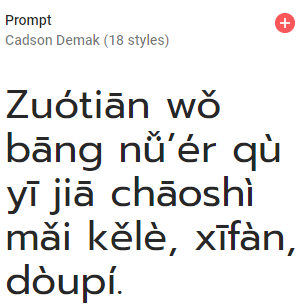 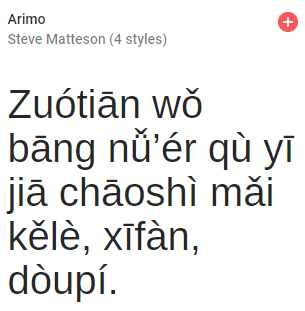 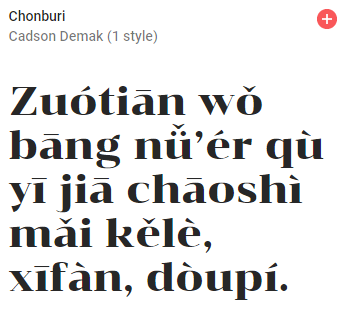 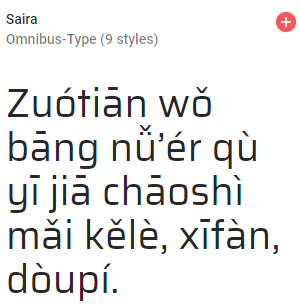 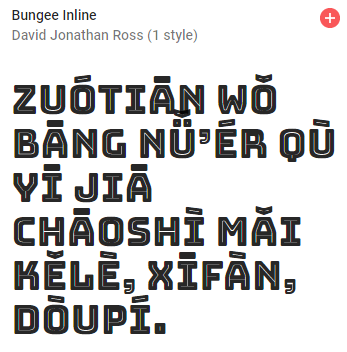 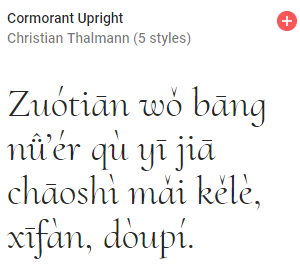 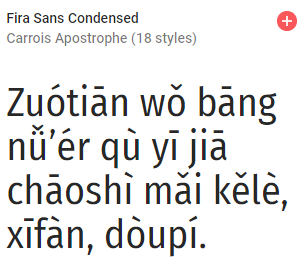 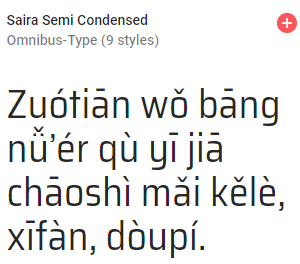 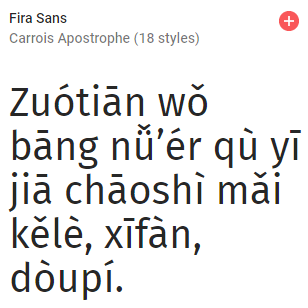 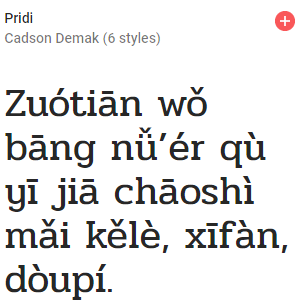 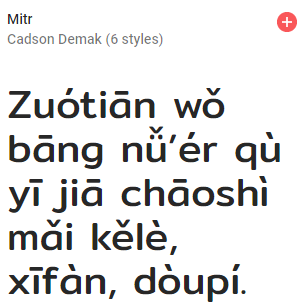 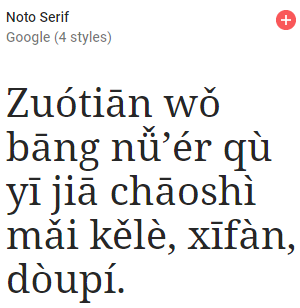 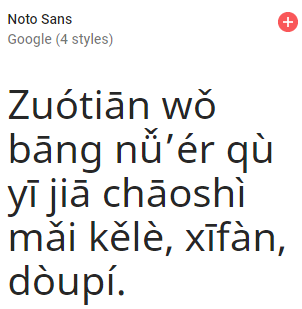 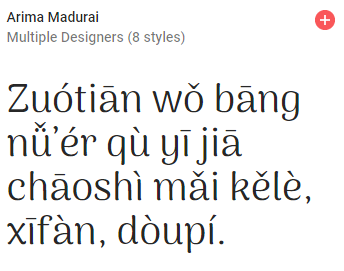 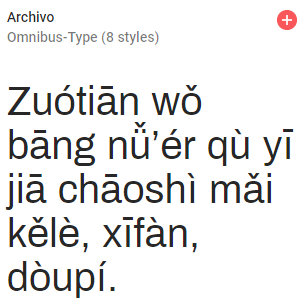 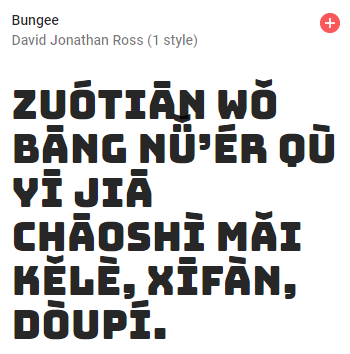 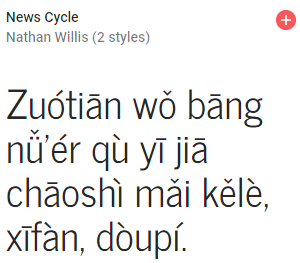 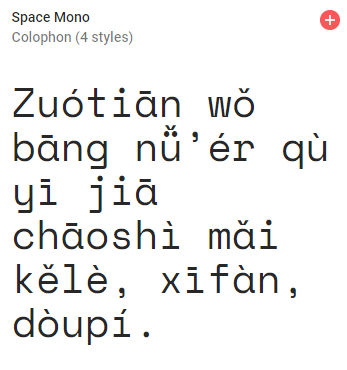 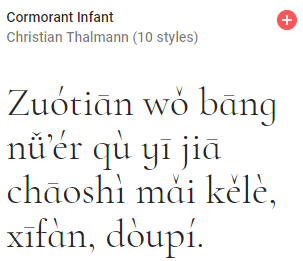 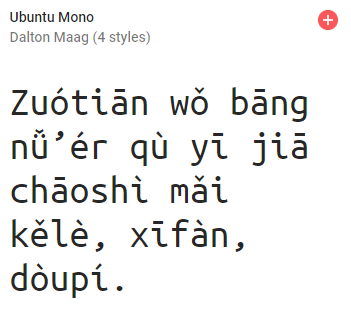 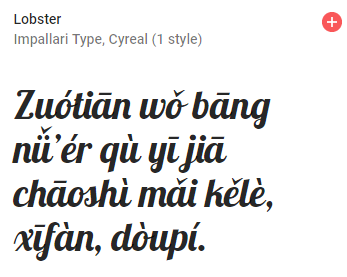 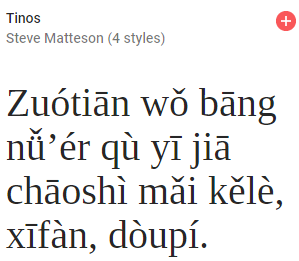 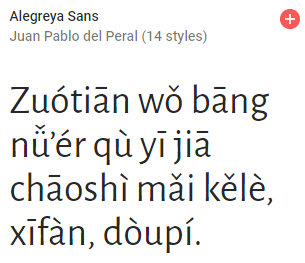 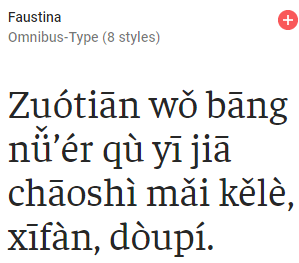 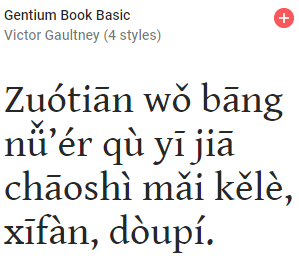 Today’s Pinyin-friendly font is Sorority, by Kreative Korporation. 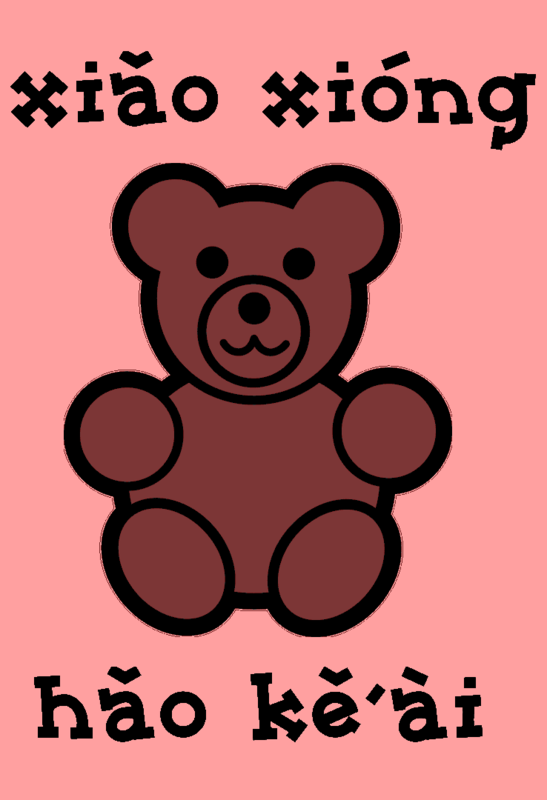 It’s free for personal use.